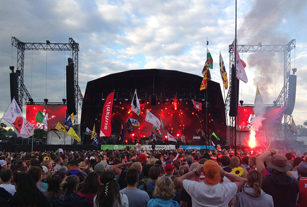 In June, as well as having ten tours out, Skan was busy with regular work at Download and Glastonbury festivals. 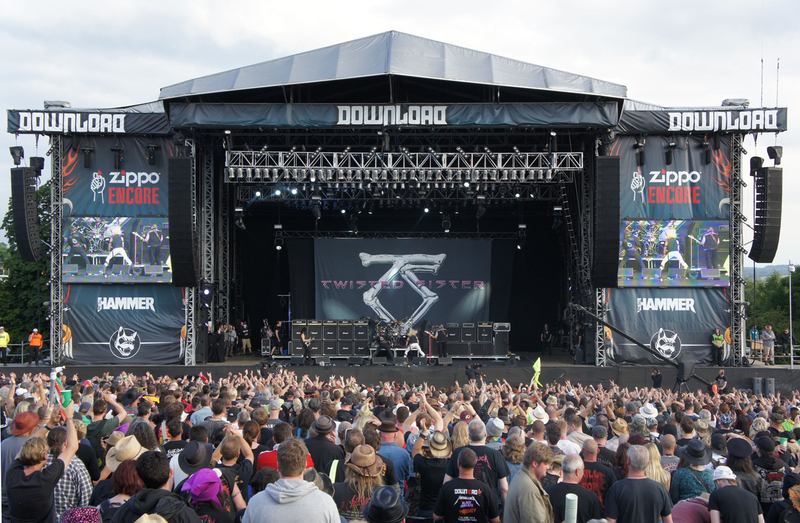 Skan provided a d&b J system for the “Zippo Encore Stage” at Download and “The Other Stage” at Glastonbury. 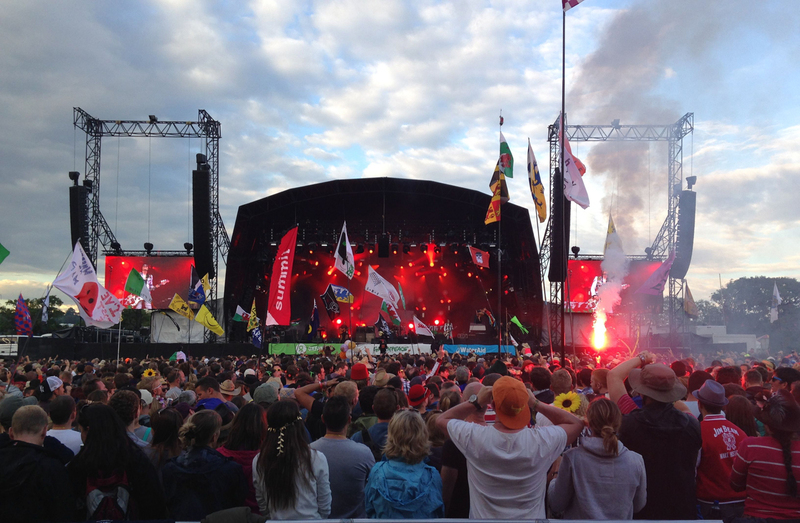 The only difference being longer hangs at Glastonbury to accommodate the larger crowds. For both events, in addition to d&b J for main and side-hangs, Skan installed a cardioid array consisting of twenty d&b J-SUBs and eight d&b J-INFRAs all powered by d&b D80s. The results were up to Skan’s usual high standards and this was recognised by engineers, production managers, audience and noise consultants alike. 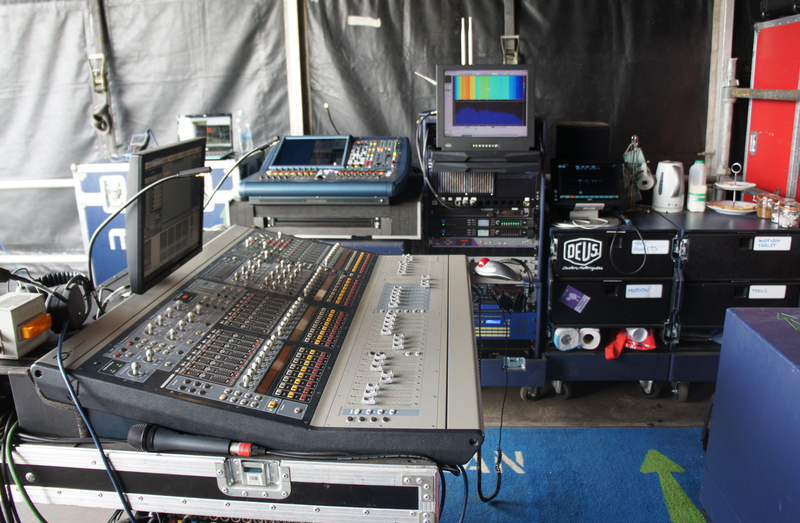 The control and monitor package was the same at both festivals with Avid PROFILEs at FOH with a Midas Pro1 used to combine the house desks and guest desks before the drive system and to matrix wired and wireless communications. Yamaha PM5D-RHs on monitors with M2s and V side-fills powered by d&b D80s. The crew for the two festivals included many Skan staff and familiar freelance crew including Matt Vickers, Tom Tunney, Ron Kessels, Chris Barton, Harm Schopman, Onno Ooms, Matt Besford-Foster, Finbar Neenan, Dan Parkinson, Glen Fuller & Alvin Russ. Thanks to all involved for contributing to two brilliant weekends. 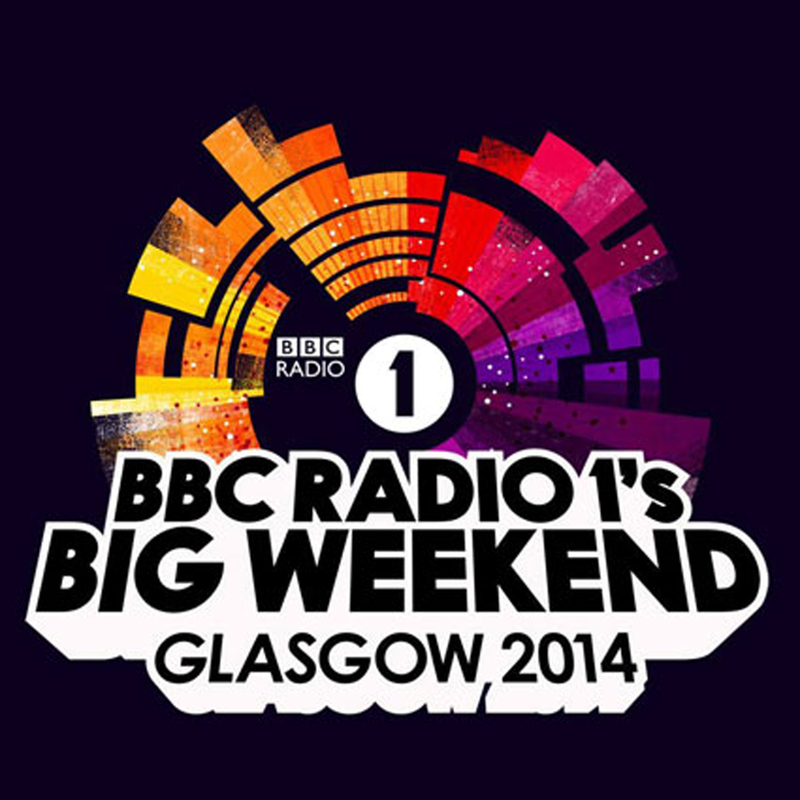 As part of Radio 1 Big Weekend, Skan provided reinforcement for the Opening night in Glasgow City Centre. 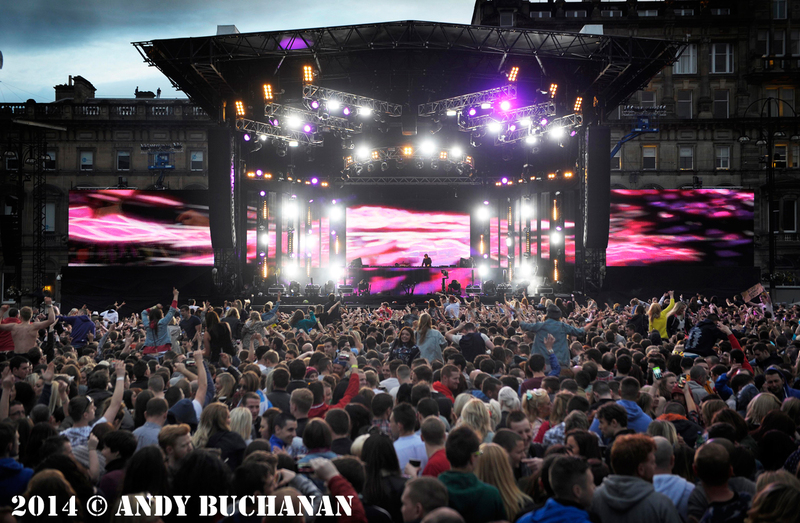 The night played host to some of Radio 1’s Top DJs, including Annie Mac, Pete Tong, Zane Lowe, Danny Howard, Martin Garrix and, new to the Radio 1 team, Tiesto. With DJs like this, it was essential that Skan provided an intense club experience for 15,000 people, while also being mindful of the noise sensitive environment of a city cente. 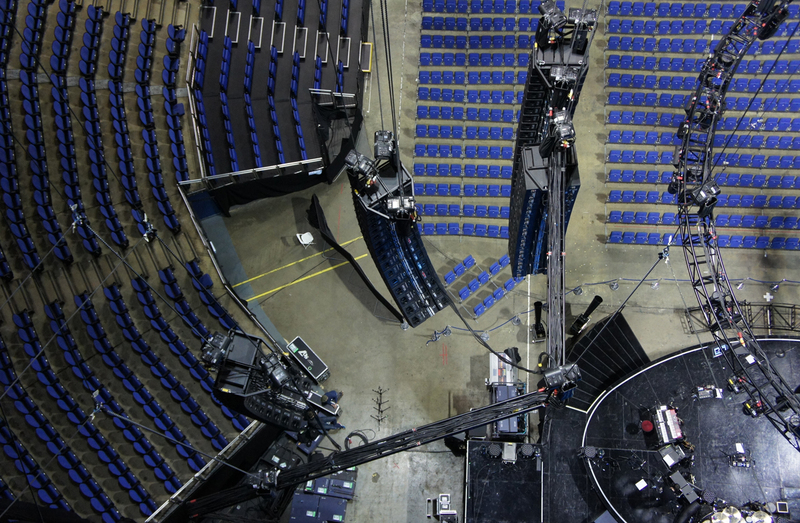 Matt Vickers designed a system using d&b ArrayCalc that would maximize the spl within the audience arena, whilst still keeping within the perimeter noise limit of 75db. Utilizing a cardioid sub array of 18 x J-sub and 12 x J-infra, Matt was able to provide very accurate pattern control for the low frequencies. Also by carefully focusing the flown arrays of 16 J-series (main) and 8 V-series (sides), there was a clear transition at the edges of the listening plane. All of these factors combined allowed the system to run at 98dB LAeq,15min at Front of house. “I was delighted with the PA in George Square. 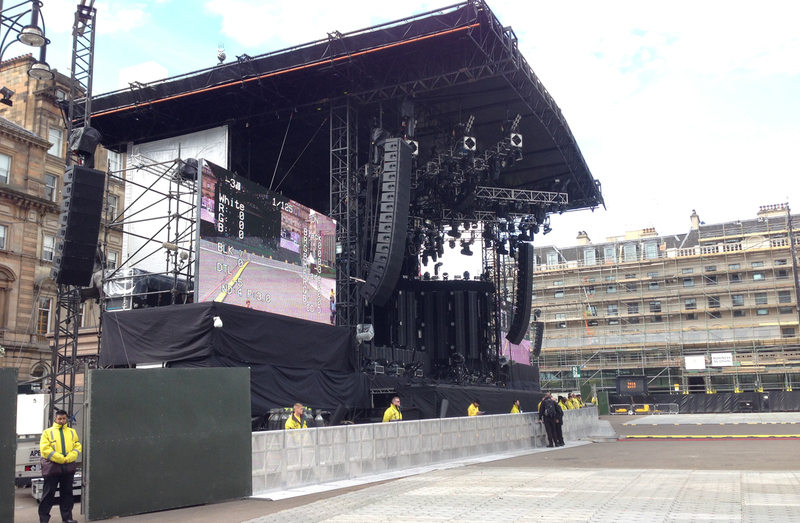 The system sounded great – it was well balanced and the output was very well contained within the Square itself. I am not aware of any significant noise issues – so very well done to all involved. Tom did a great job and I am personally very happy that we finally got you involved again with a major Radio One event and that the result was excellent. I sincerely hope that we will be able to repeat this experience at future events. On site representing Skan were crew chief Tom Tunney with Onno Ooms looking after FOH and Richie Gough looking after monitors. Since his first album in 2004, Back to Bedlam, James Blunt has relied on Skan to supply audio systems for his live shows. 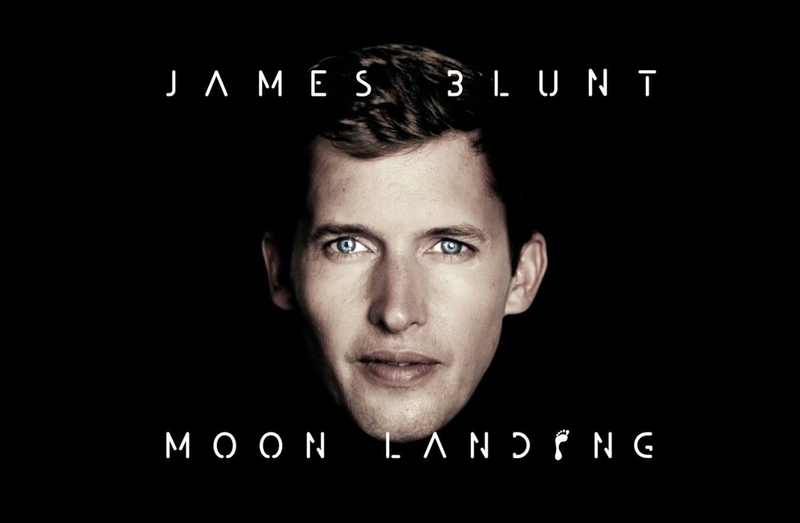 Now in support of his fourth album, Moon Landing, James is once again touring the world. 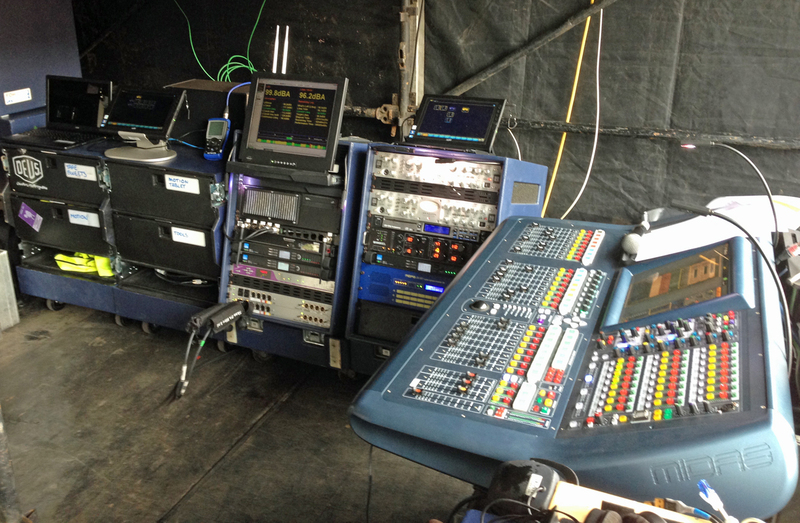 FOH engineer Mike Hornby has again specified a Midas Heritage 3000 with a modest selection of outboard. Although he is now in a small minority of analogue console users, the results speak for themselves. The combination of an analogue front-end with XTA DP448s driving 96KHz AES3 into a d&b J-system is hard to beat. Monitor duties are handled by Gerry Wilkes, an engineer with a thirty-year association with Skan. Like Mike, Gerry is bucking the current trend and using a Yamaha PM5D-RH. Continuing the retro feel, the band are primarily monitoring with d&b M4s. 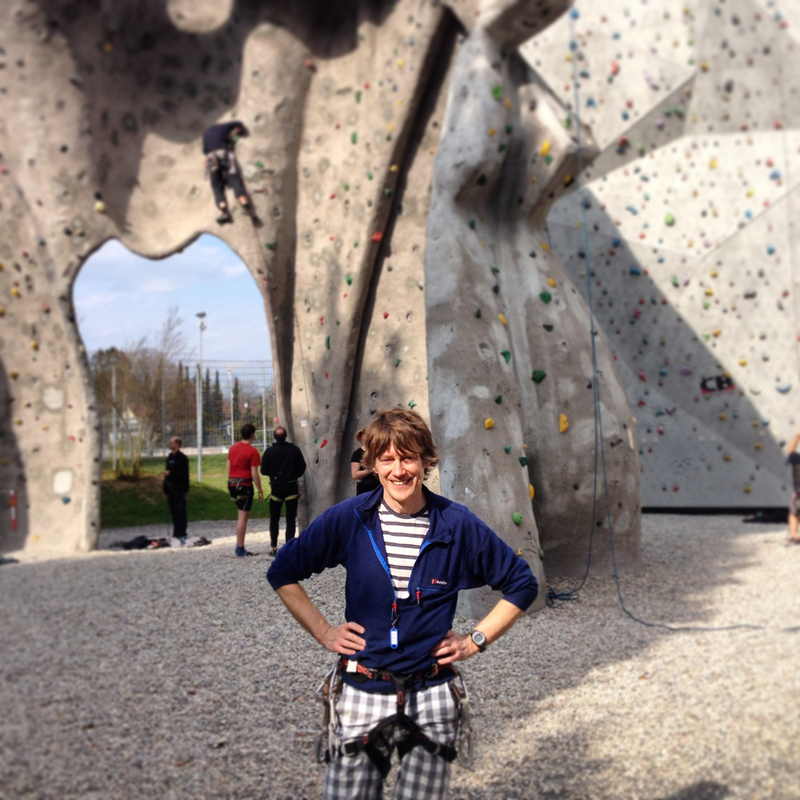 So relaxed, in fact, that Mike Hornby and his long-time FOH minder, Scott Essen have been making full use of their down-time to indulge their passion for climbing and road cycling. 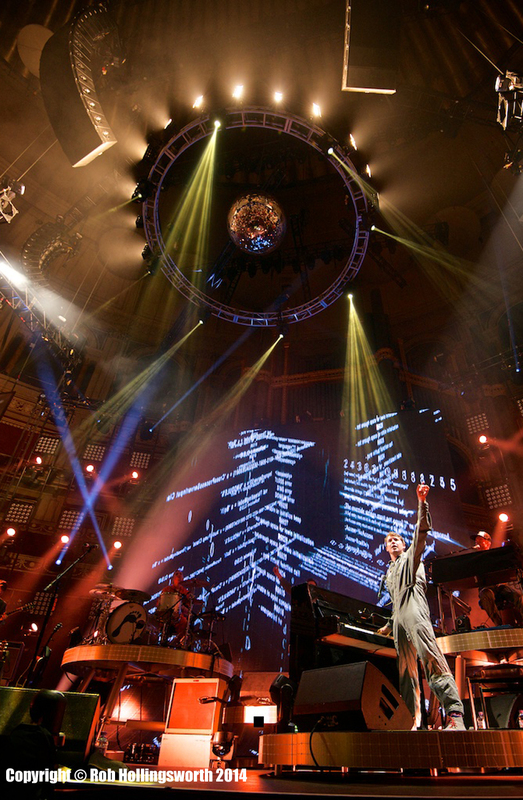 In between all the leisure, there was time to fit in a successful run of arena shows in Europe with some more intimate UK shows including a stunning show at the Royal Albert Hall. 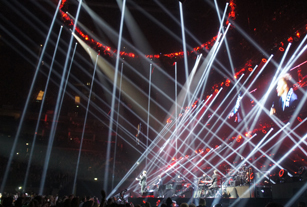 As well as sounding great, the show looked amazing with lighting & visuals by Glen Johnson & Lite Alternative. Skan has just completed our first tour with Gary Barlow. 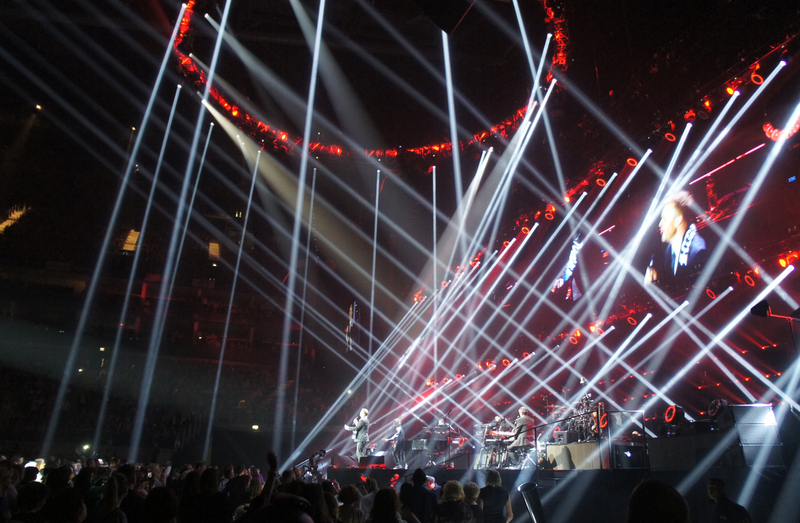 Working with Chris Vaughan of The Production Office, the tour was a pleasure to be involved with. 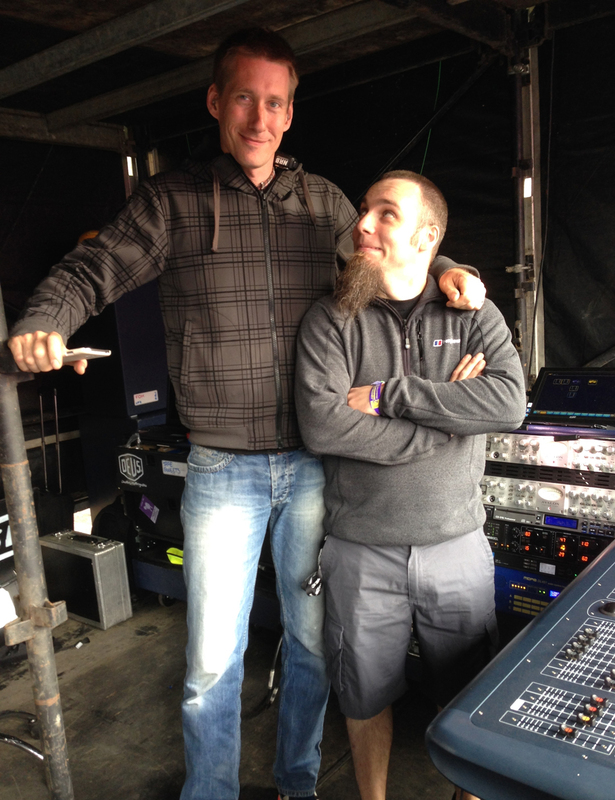 Long standing monitor engineer, Steve, Lutley operated a DiGiCo SD7 providing mixes to six Sennheiser 2050 dual IEM transmitters and d&b M2s. Inputs and outputs were handled by two SD-racks connected via optical loop including FOH. Steve was assisted by his usual tech., Glen Fuller. They make a fantastically efficient monitor team and great to work with. 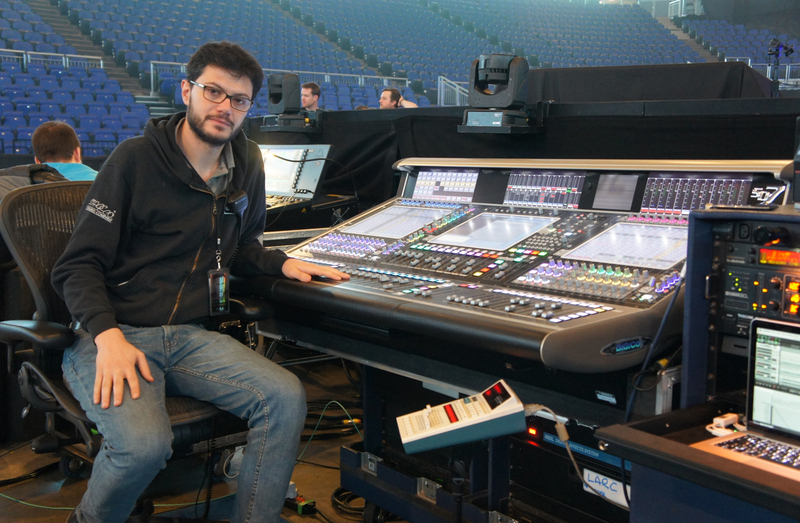 Also mixing on a DiGiCo SD7, FOH engineer Davide Lombardi hadn’t previously worked with Skan. Happily, Davide enjoyed the working with us and commented “It’s been a really good experience, you’ve put together an A Team and we did not just work very well together, but we also had fun. 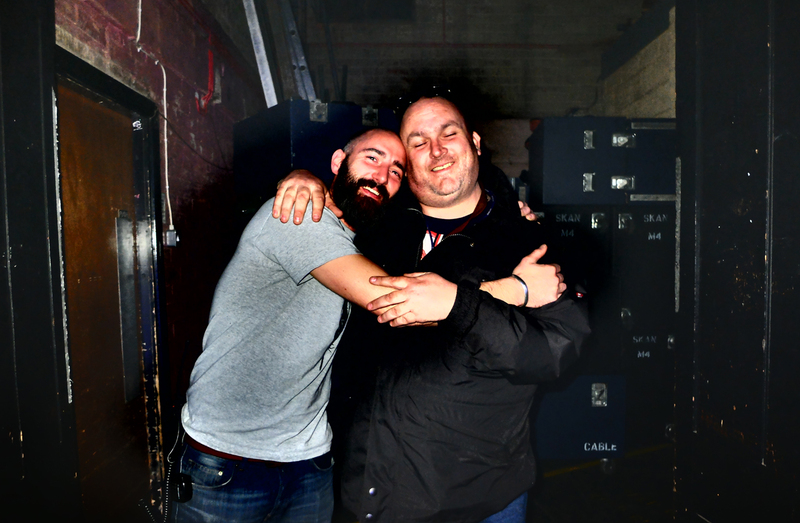 Hope to work together in the future.” Davide was assisted at FOH by Nigel Pepper (in downtime from his Foals mixing duties). Skan’s crew chief was Onno Ooms with the touring team of four completed by wingman, Rob Wilkins. 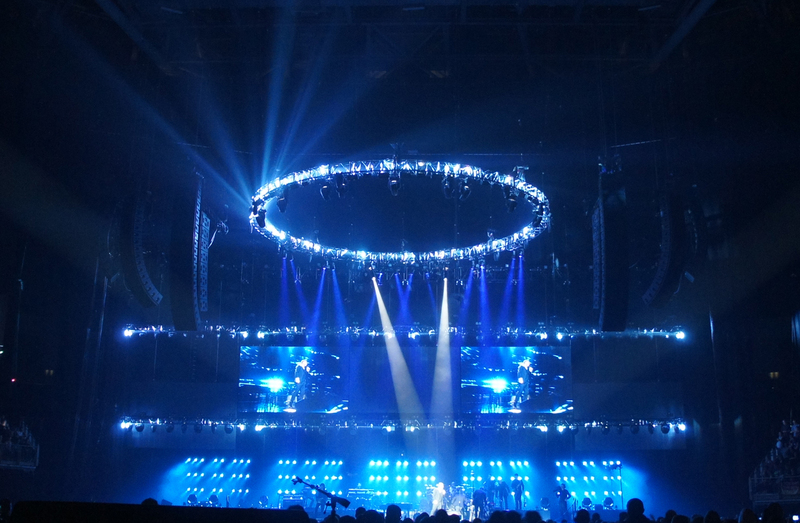 Tom Tunney joined the tour for a couple of key dates such as London O2 where he installed a ring-system for the upper tier consisting of six pods of eight d&b V elements. 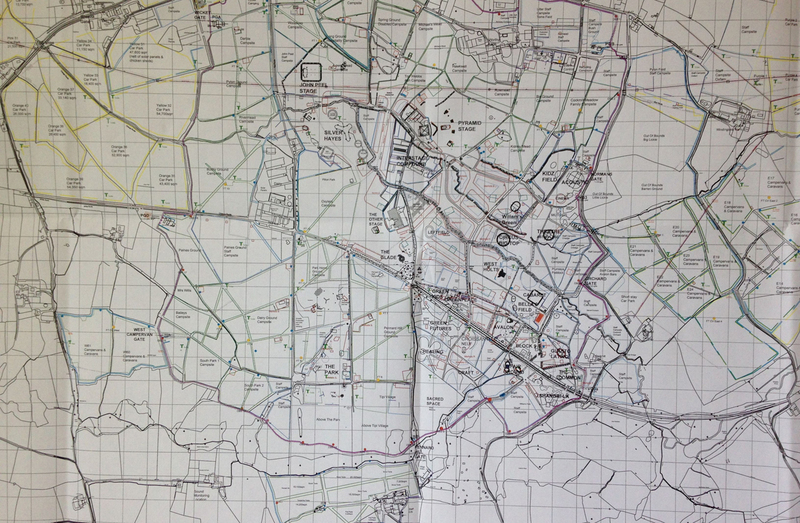 Pre-production system-design was handled by Matt Vickers. 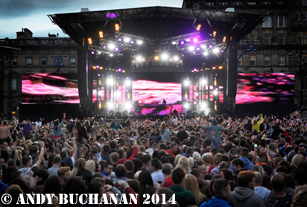 The FOH system was d&b J providing up to 270-degree coverage augmented with d&b V and Q-series boxes. Low-end was provided by J-SUBs, both flown and under the stage. Lake LM44s were used for system front-end driving d&b D12s via 96KHz AES. 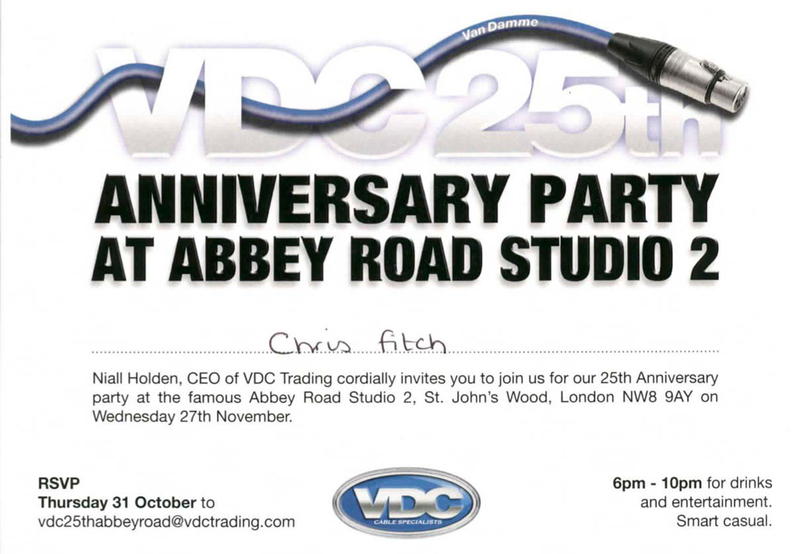 A belated story to record the belated VDC 25th anniversary event. The celebration of VDC’s quarter century was apparently closer to 26 years after their inception. But who’s counting? 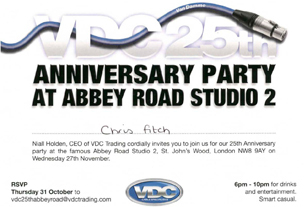 Held at the famous Abbey Road studios, VDC threw a great party attended by Matt Vickers and Chris Fitch from Skan. Rubbing shoulders with familiar faces from our industry and all VDC’s varied markets, this was a wonderful opportunity to meet new people and renew old acquaintances. The evening included live music and more champagne than can possibly be good for you…they know how to throw a party! 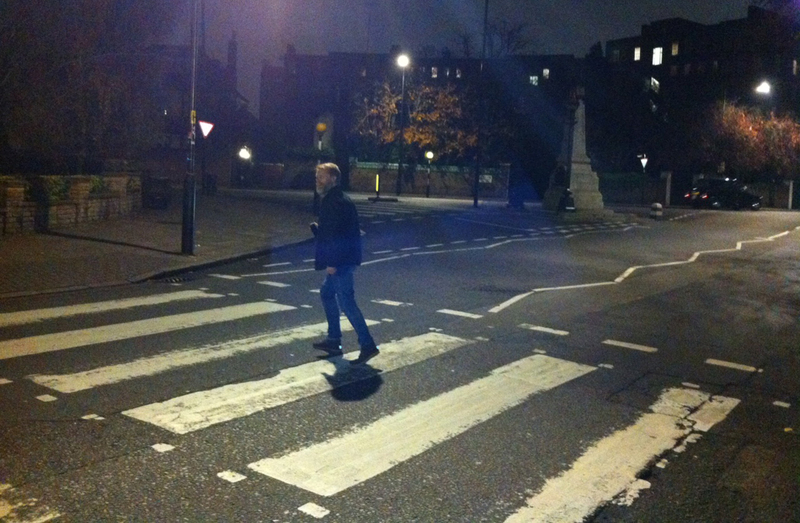 Pictured are Matt Vickers on that crossing. 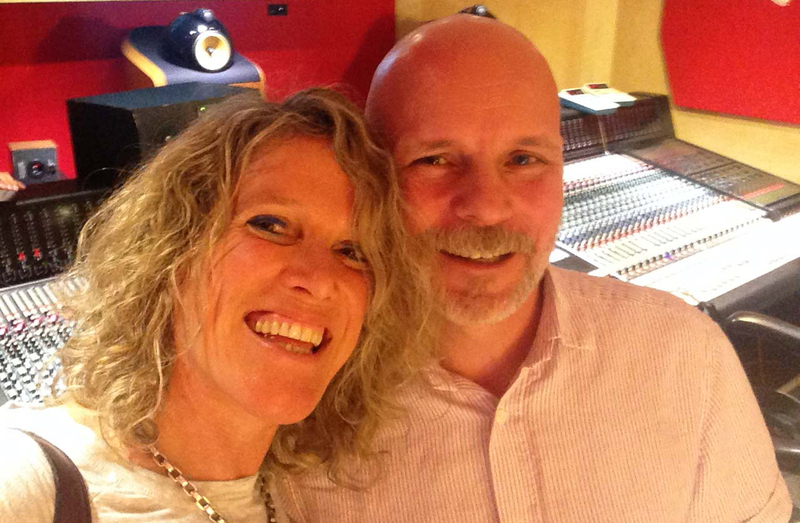 And the lovely Kent Jolly from Matt Snowball Music with Chris Fitch. Our thanks to Niall Holden, Dug Guthrie, Adam Jafrabadi and all at VDC for a great night. With our very best wishes for another 25 years! 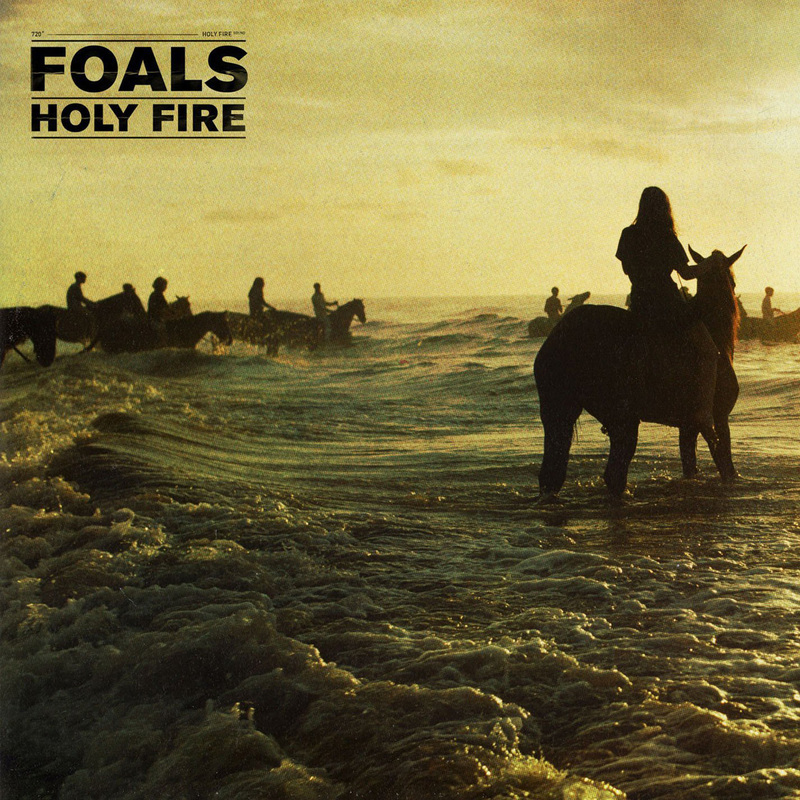 Skan has been working with Foals on their tour in support of “Holy Fire”. The tour started in February 2013 with dates booked through to September 2014. 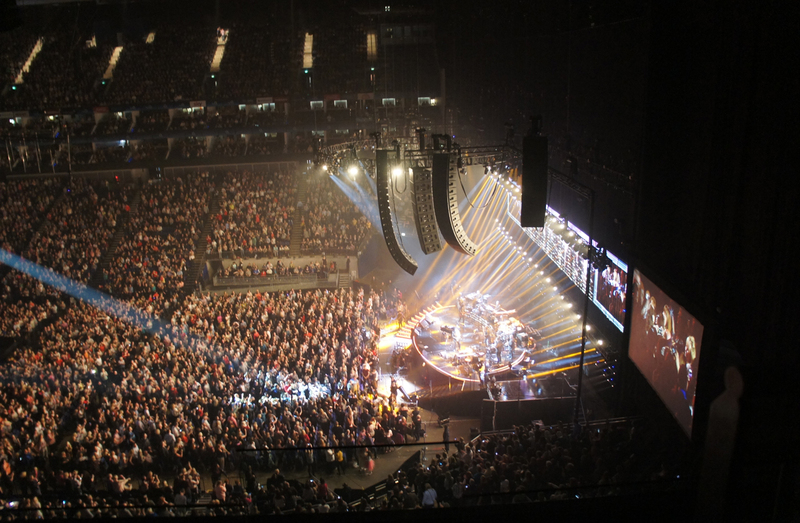 Skan has supplied various audio packages, ranging from an outboard rack for fly-shows; a control & monitor system for festivals; and a complete system with d&b J for theatre and arena shows. 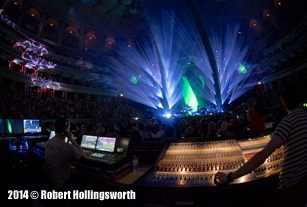 Throughout the tour FOH duties have been handled by Nigel Pepper. 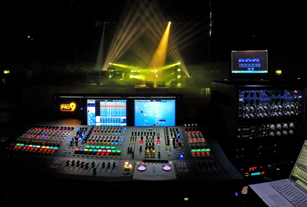 Although more familiar to Skan as a first class tech., Nigel has shown he is equally adept at mixing and provided great results throughout the tour. 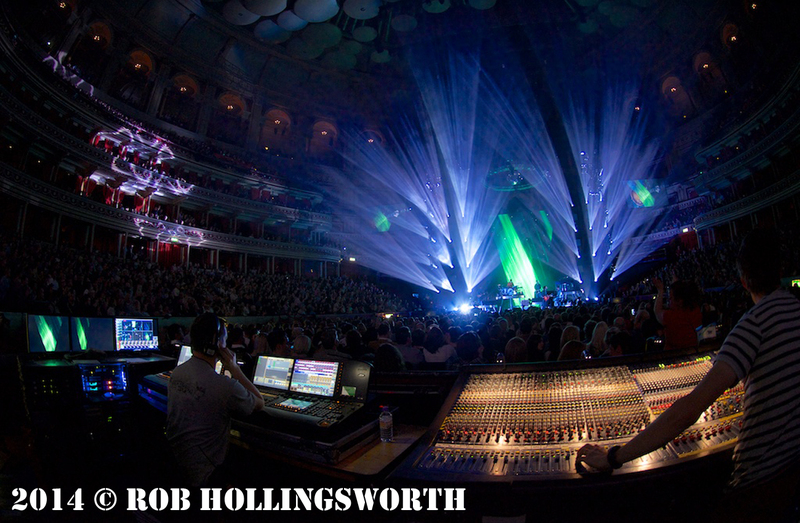 The band have used a couple of monitor engineers through the period with Steve Murray currently at the helm. 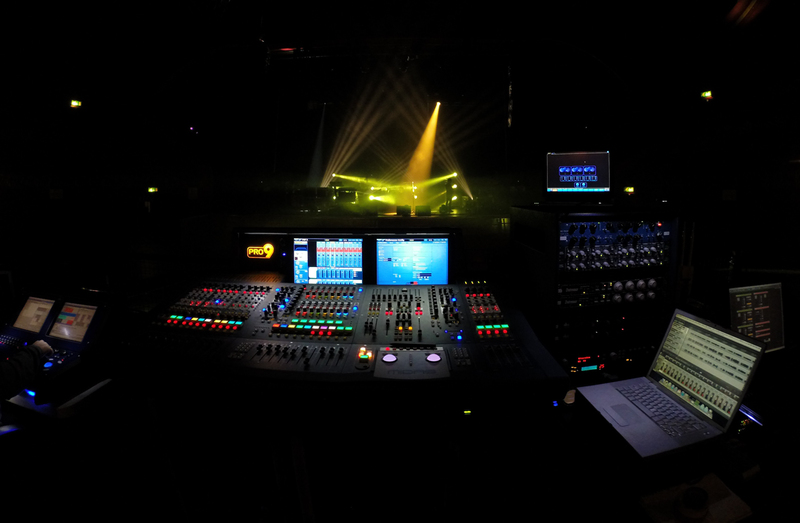 Control has been Midas throughout the tour with Pro2s at both ends for the majority of shows with a Pro9 brought in for FOH on various sectors. Skan has also provided d&b M2s with the band providing IEMs. 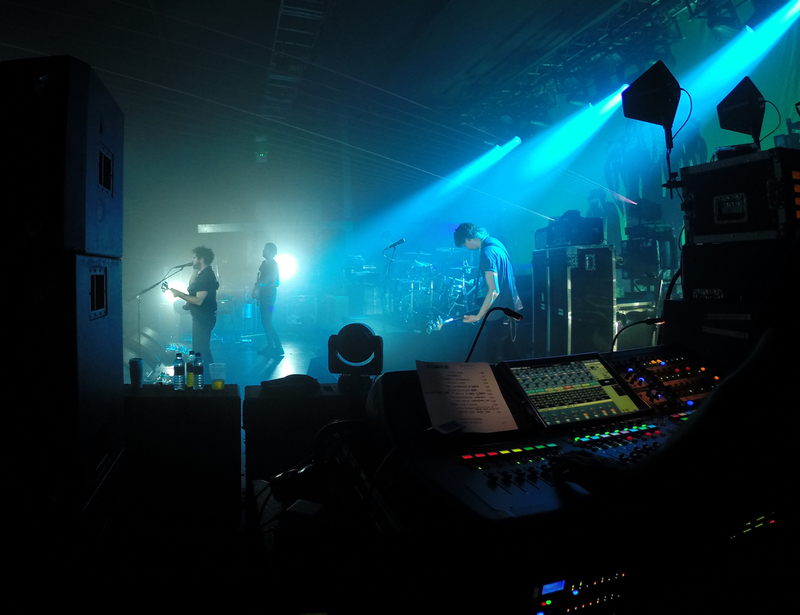 It’s been great tour and we wish Foals continued success.